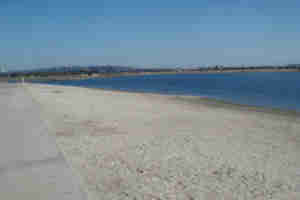 Waterfront (boat ramp) The waterfront is lined with a sandy beach. 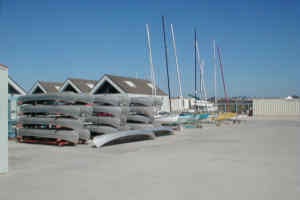 There is a boat ramp to allow for easy launching of the larger boats from the boat yard. Boat Yard The boat yard is the storage location for the boats available for rent. La Jolla Room This room is large with a comfortable seating capacity of over 30 individuals. 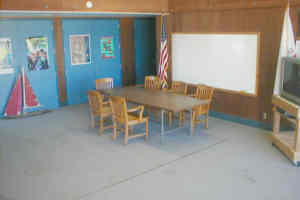 A television with VCR, white board, tables and chairs are available. It is ideal for Troop Junior Leader Training and other small gatherings. 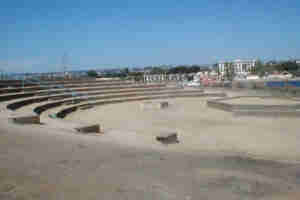 Sail Bay This area is large with a comfortable seating capacity of over 50 individuals depending on the set up. 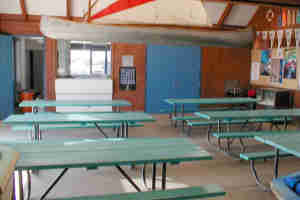 A white board, tables and chairs are available. It is ideal for Troop Courts of Honor and other larger gatherings. Patio This patio is located off the kitchen, sail bay and classroom A. 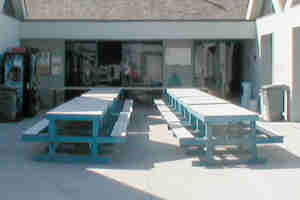 It is uncovered and has table seating for over 50 people. There is no lighting at night. Portable lighting can be arranged. It is ideal for pot lucks and other larger gatherings. Kitchen The kitchen is similar to one found in a family home. 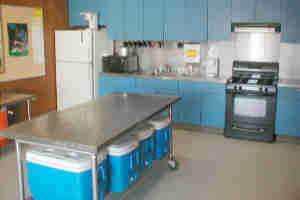 There is a four burner stove with oven, a microwave, refrigerator, and plenty of prep counter space. There are limited pots, pans and utensils. The patio is located off of the kitchen. Amphitheater The Amphitheater has seating for 300 plus people. There is a small stage, electrical hook up and a fire ring. There is no permanent lighting. 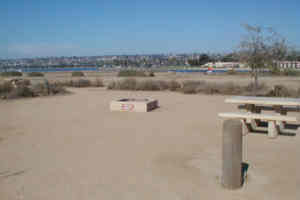 Reservations must be made with the City of San Diego Parks and Recreation Department. 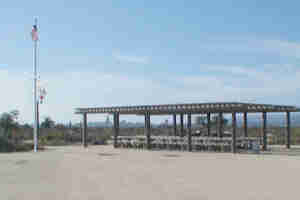 Group Picnic Area The group picnic area has seating for over 50 people. There is a small stage, flag pole and BBQ grills. There is a access for catering vehicles. Campsite 20 There are 34 campsites. Each site can hold four tents. Reservations are made in pods of three to 6 sites. 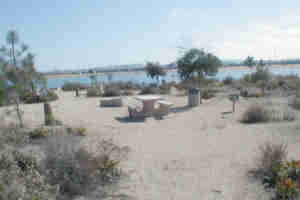 Each site has a fire ring, at least one table, and BBQ grill. Water is near by.